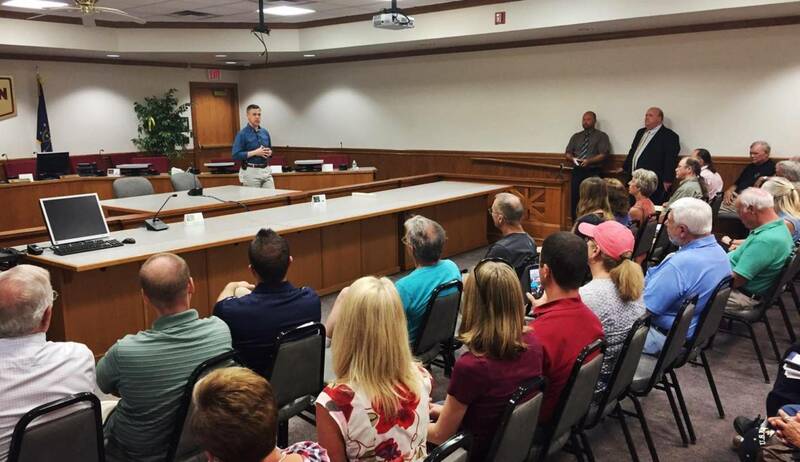 Indiana 3rd District Congressman Jim Banks was the first to hold a town hall during the House of Representatives’ August recess. As Indiana Public Broadcasting’s Zach Bernard reports, the crowd in Auburn yesterday asked the Republican lawmaker what’s next after several failed attempts by the Senate to repeal and replace the Affordable Care Act. Banks called the health care debate a big problem, and says he believes there are two directions Congress can take: single-payer, which he opposes and claims would cost taxpayers $32 trillion, or bolster the current ACA market. Still, he believes the House and Senate can find common ground with what has been proposed. Banks also noted the process has been slowed by what he says are “arcane” procedures and rules of the Senate, which he says are too convoluted for Americans to understand and should be streamlined. Defense officials, including the Joint Chiefs of Staff, stated the President’s declaration was not an official policy and the future role of transgender soldiers was still being reviewed. That didn’t stop the issue from coming up. A recent graduate of Homestead High School, who plans to attend IPFW for biology and political science, approached Banks with the question. Banks was quick to clarify the current state of the issue: “We don’t know what the policy will be; nobody has seen it yet.” He went on to call it an “emotional issue” with a lot of different angles and concerns. He ultimately did not take a position on the issue, saying the best course was to allow General James Mattis time to continue reviewing the matter before a decision was made. The House will return to session after Labor Day, on September 5.